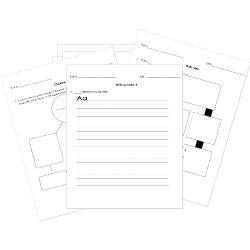 You can create printable tests and worksheets from these Grade 2 Classic Literature questions! Select one or more questions using the checkboxes above each question. Then click the add selected questions to a test button before moving to another page. The death note placed in the captain's hand was called what? What did the Captain's tattoo say? "Fifteen men on a dead man's chest... Yo-Ho-Ho, and A bottle of rum," is a pirate's . Mr. Trelawney is also known as . At the beginning of Treasure Island, the story starts at what inn? They hired a ship's cook and his name was . Mr. Smollett is the ship's .